"Very pleased with response to this advertisement . There is not much you get free these days "
"The best way to sell a classic car - free and known by classic car enthusiasts." "Sold through this website.Still the best for classics in my opinion"
"Had very high interest within hours of listing going live. All professional and serious buyers. Will most definitely use again. " "The only place to sell quality Classic Cars. Enthusiasts review this site." "A great site. I received several European contacts on my US based car! Thank You!" "Within 2 days of posting the advert we had 3 emails from interested parties. One from Scotland one from France and one from Portugal who has actually bought it to be shipped to Lisbon for his museum. " "Thanks superb site for selling easy access and excellent coverage "
"Have sold many of my cars from my collection on this website. Always my site of choice! Sold my e34 within 24 hours of first contact with the buyer! " "Great website, easy to use and good responses from genuine buyers"
"When selling my classics i always use car and classic"
"Very good site to sell and to buy, no messers or time wasters like on ebay or gumtree." "I was very happy with the response and the car was sold quite quickly to the first buyer to see it. Excellent. I would recommend Car and Classic as the best media to sell your classic/future classic car." "A very useful and professional website which I am sure that I will use again in the future"
"Thank you, Car and Classic. Sold pretty much at the asking price and driven away the day it was viewed. The buyer was delighted too, as all the information from the Ad was verified at time of sale and he was very happy too." "Nice and easy to advertise and the best way to sell a classic car. Privacy protected and and a massive audience to show your car too." "Once again the Car and Classic website procures a genuine buyer and secures a sale. Many Thanks "
"Excellent website. Good coverage. Thank you car and classic staff." "Excellent response in less than three hours of placing advert. Car then sold within 24 hours"
"Sold through auction, but there were many enquiries from the advert in Car and Classic"
"Two enquiries about my Frogeye Sprite but one of them was a buyer." "Great service again. Contacted by an interested party and agreed a mutually beneficial swap plus cash for a classic British bike." "Excellent service and a quick sale. Highly recommended." "Never thought it would sell this fast for the asked price. Another great experience with you ..."
"Third Classic car I have sold through Car & Classic, on its way to Cyprus"
"Sold within 3 days - buyer and seller well pleased!" "Excellent site for buyers and sellers. Serious people mainly. Very pleased!" "Excellent & rapid response from respectful people who knew what they wanted. Sold to first person who viewed. Effective, hassle-free site, very helpful. Recommended." "Car & Classic is simply the only place to sell vintage and unusual vehicles." "car and classics has helped me sell my bsa with first class coverage, many thanks for this service"
"Car sold to the first viewer. Far better way to sell a classic than eBay !!" "Sold by car and classic with in 3 days. Great website "
"Car and Classic is a super way to advertise your car to a wide audience. Easy to set the advert up and add photos so potential buyers can see exactly what the condition is before they have to travel." "Sold on first day of the add being on line. Great site! Easy to use." "Great site - This car was mint & car sold to first viewer both buyer and seller very happy - Thanks to Car & Classic highly recommendable site"
"As always, excellent site attracting serious buyers." "Excellent site for anything classic be it car or in my case motorcycle, very widely read as I sold my bsa thunderbolt to someone from Zurich the same day as the add went live , thank you car and classic." "I have twice used Car and Classic when reducing my motorcycle collection and I have found it very effective." "The only platform that delivered me a purchaser without hassle. Recommended for sure." "Great response from interested people. 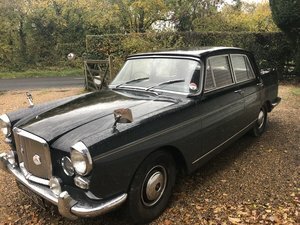 Would always use this site to sell classics"
"Great place to post, had lots of genuine interest on a car that not many people follow. " "Another great bike sold within 3 days of being on this site, C&C have done it again !" "Sold in three days,Top site for selling, with few time wasters or dreamers, Many thanks again." "Very pleased that the car has found a new enthusiastic owner Not a regular user of internet buying/selling but found this page easy to use." "Ad was easy to post, it was viewed 522 times in 4 weeks. The first person to view the the car bought it with the minimum of haggling. I'm very impressed with the website. " "Thank You Car and classic this is truly a great site Thank You"
"Excellent FREE ad, car now sold and going to a great home! Thank you." "Fantastic website with great results reaching the right buyers 5*"
"Excellent site have used before and will use again. " "Absolutely brilliant. Your own advert words; your own choice photos (6 allowed); excellent market exposure. Sold my vehicle in 3 days." "I continue to be thrilled with this website, and very impressed with the amount of exposure the MG L2 Magna received here!" "What a website! Am I missing something? A great place where likeminded enthusiasts go as one of the first places to check out the market, and, if you’re selling, all free too. Well done and thank you to everyone at car and classic. " "Bike sold within a week or so, and had some good enquiries from genuine interested people. Would use this site again." "I had 2 enquiries in the first hour, and the car was sold in 3 days. I would highly recommend this web site to anyone wanting to sell a car, and I would certainly advertise here again." "Plenty of genuine enquiries. Sold to the first viewer." "Within 3 hours I received 3 enquiries and my bike was sold the next day. It was easy to upload the information and the pictures. Car and Classic definitely has an excellent customer following"
"Fantastic service, car viewed and sold within 24 hours. Many thanks, Tim"
"Many thanks to Car and Classic. plenty of interest through the site and a quick smooth sale." "Car sold, thanks to Car and Classic, puts sellers in touch with real car enthusiast buyers!" "Very easy to create the advert and generated fast interest in the car, sold within 72hrs!" "Excellent site. Caller within 15 minutes who bought car later that day." "Fantastic website attracting genuine and enthusiastic buyers, a big thank you to Car & Classic." "Great website with an honest and straight forward approach to buying or selling a classic. Will use again." "A really first class site attracting serious and committed buyers. " "Did not have much cause to interrelate with Car and Classic during the life of the advertisement but you were extremely helpful to the buyer when he had a problem contacting me on my mobile number following a technical hitch. The buyer was also very complimentary regarding this support." "fantastic response from good solid buyers, really appreciate the help this site gives,"
"Amazing, had a handful of genuine enquiries, first viewer came within 24 hours and bought the car there and then! " "I would always advertise on car and classic as it always gets the desired result. " "Thanks to car and classis for connecting me with another car enthusiast. What a great platform!" "Sold very quickly. Very pleased with the website and the response." "An excelent way to sell a car I had lots of serious interest and it was bought by the second person who contacted me"
"Sold within a week to a true enthusiast. Very Happy "
"Excellent free website for selling a classic car. My Mercedes sold within six weeks. Many thanks." "As always, a smooth, no hassle sale through car and classic!" "Great selling site. As a private seller I was very disillusioned with the cost of advertising and cost of money transfer on a commonly used internet seller. Have used car and classic now a few times with great success." "Car and Classic is the only site i have been able to sell my classics on." "EXCELLENT SITE AND SERVICE BY ALL THE TEAM......WELL DONE!!" "A very professional site presenting my car very well until I found the buyer. " "Second successful sale through your site. Your system is so easy to follow. 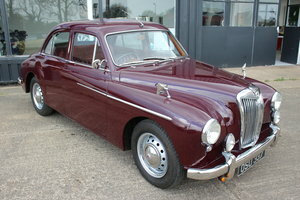 Thank you "
"Thanks to Car and Classic I sold my car to a gentleman in France which proves how widely read the site is. Very efficient, many thanks." "Thanks Car and classic. We needed to sell our beloved 2CV due to an imminent house move and so placed it with a sensible price tag to sell. The first to view bought it so we are all happy: buyer, seller and 2CV ! " "Very impressed by response to advert - quality of applications was very high and I’d more than one person who wanted to buy "
"Well, what's not to like? Advert placed and sold same day. Price was good, but exposure was excellent. " "Thanks to Carandclassic, The Sunbeam is now sold To Hungery, Very good Website "
"Sold to first buyer & others waiting to view. 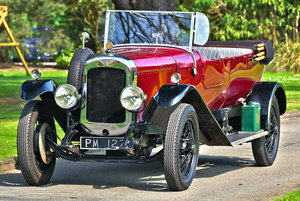 Cars and Classic is a great website & would certainly use it again"
"After some confusion about where the ad was being placed (ie: Austin cars in general or under the Austin 7 heading) this problem was solved by some tweaking done by C&C Admin - with the result that the car sold within 12 hours of the ad going live. The customer service was absolutely brilliant and very personalised and caring. A big 'thank you' and 'well done!'" "Fantastic response, would definitely use again, thanks." "Such a great service & fabulous response to advert. Changed my mind & decided to keep the car! Would 100% use service again. Thanks." "Great service and appeals to those with a fine eye looking for well cared for cars owned by like minded people." "Very good site for selling classic cars. I would highly recommend. " 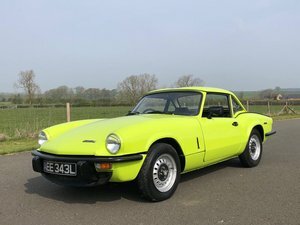 "sold within 48 hours and on other online sites that did not generate the same interest"
"Very pleased with car and classic, easy to use, genuine buyers , no messing. Thanks again car and classic will recommend to friends"
"Brilliant advertising site - sold my car for a fair price within 3 days"
"Thanks to Carandclassic, I sold my rare military vehicle"
"Very easy to place an advert and amend if required, and generated plenty of interest in the car"
"Excellent website, great exposure and lots of enquiries. " "The only way to advertise your classic car. It garnered three times as many views as a well-known auction site. " "Advert generated lots of interest and sold to second viewer. Cheers"
"Fabulous response and sold in days. Potential buyers all seemed more genuine than flea bay. WELL DONE"
"A friend saw our advert on car and classic, contacted us and bought the car thank you." "Great website for selling a classic car. Vehicle sold within 24 hours. Amazing "
"Sold to a dealer on the evening the advert was on placed. Had one PayPal scammer and one international person, and after horrors of using eBay would definitely not go anyway else but Carandclassic." "Sold to first caller within a day of advert going live. Great way to sell your classic car. " "The car sold quite easily within a few days after a healthy number of enquiries. I would definately recommend Car and Classic as the best way to sell your Classic Car." "As always car and classic does exactly what it says on the tin. Excellent service." "Quality responses from genuine buyers, sold within 48 hours." "Excellent site. Second vehicle I have sold on this site, and very quickly." "Lots of interest in the car through the website. Have used the site before and hav always had a successful outcome." "EASY TO ADVERTISE SITE GOOD LAY OUT PLENTY RESPONSES"
"Bike only advertised for a few days and sold to second person who enquired about it. In my opinion a great site for selling." "A very easy to use website. Putting my car up for sale worked without a problem. This is a terrific facility and because it's for classic cars, I only got serious buyers contacting me. The actual buyer found the car on another site, but I'd happily recommend this site to anyone." "Excellent, would use Car & Classic every time to buy or sell a classic car. " "Best site I know for buying and selling,nothing compares "
"Amazing. Vehicle sold within two hours of ad appearing!" "sold my car within two weeks delighted with the outcome and will most definitely use this site again "
"Great sevice, and for free can’t go wrong really!! Thank you Car And Classic "
"Brilliant,sold the car within less than 24 hours. Thank you Car and Classic"
"Great way to sell car. Easy to use website and attracted genuine interest quickly." "Excellent site for selling my TT lots of inquiries and a positive outcome thank you car and classic.????" "Very good site, easy to use and navigate around, and quick sale." "Easy to use and plenty of interest generated through this website. Excellent service "
"Great result. Had first response only two hours after advert went live. Loads of interest and SOLD in four days"
"Great service would recommend and would use again. " "Best place to sell classic cars from any era! The customers you attract from car and classic are enthusiasts and not time wasters like other sites you make contact with! Thank you car and classic. " "Great site with good UK and Ireland coverage, attracting genuine buyers "
"Excellent Site, Easy Edit and Free of Charge, Thank you"
"Sold for full asking price, have used this site before & it's the best for selling any car." "Only Car And Classic reaches the buyers other web sites can't reach! Third successful sale via C&C! Why pay silly "fees"?" "thank you very much .the bike sold quickly. for close to asking price.lost count of enquiries. kind regards Richard." "Quick easy and lots of interest. Car sold within 3 weeks of the advert appearing in C&C"
"Excellent response to advert within an hour of posting it! Sold to first person who came to see it." "Great site for selling classic cars, thanks again and I look forward to using you in the future..."
"Great site!! 4th Irish car of mine to sell on this site to uk buyers, much better reaction than any other sites I've used. Thanks "
"just so easy to sell vehicles on this amazing site. Organised and very professional listings." "Easy to advertise, correspondance with buyers was easy with no problems." "Fantastic website, genuine no fuss buyers are looking here. cant recommend enough Thank You"
"Tried xxxx and xxxxxxxx first, nothing but time wasters and low offers with no viewings. 24 hours on this site and sold to a really nice chap. Why didn’t I come here first!? " "Thanks for the advertising for the mg this is a great website for all classic car enthusiasts thanks again and I look forward to using you in the future "
"Sold within 7 hours of being listed to the first person to enquire about the car." "serious enquiries leading to a straightforward sale. No problems whatsoever. " "Great amount of interest and really serious buyers." "I had a very good response to the advert, well done C&C. Will use again when required." 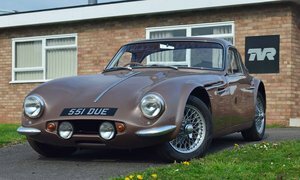 "Got some genuine buyers asking questions within a few hours and ended up with a number of offers"
"Very impressed by another successful sale through CarandClassic. Fantastic website with genuine enthusiasts. Many thanks!" "the Ad went live at midday on a friday and was sold within 2 hours!!! there is no other classic site that has this ability. Thank you. " "Quick and easy to post an advert and car sold within 24hrs. Great site for selling classic cars"
"As soon as the sun got out and warmer weather on the horizon I was flooded with genuine enquirers from enthusiasts. The car went to a good home. " "Never disappointed. Excellent coverage and good response." 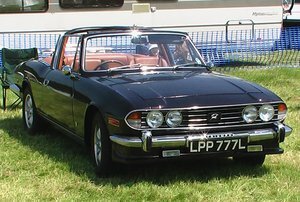 "Great service once again from the go to website for classic cars." "Car sold easily with the coverage of car and classic and would not hesitate to use again." "Fantastic response. Car sold within days. Many thanks." "Great service targets the right people for classics wouldn’t advertise anywhere else"
"This is a very good site. Easy edits and access. Plenty of views"
"Superb site, has a fantastic coverage to a quality audience "
"incredible world wide response many thanks Car and Classic"
"Car sold within 3 days - Brilliant website for selling classic cars !" 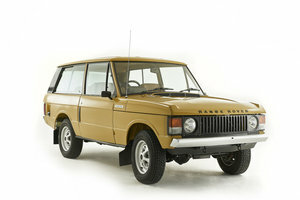 "Excellent response and a very easy method of selling a classic car. Highly recommended"
"Always liked Car and Classic. This is the first time I have used them to sell. A very good response definitely use them again. THANK YOU VERY MUCH "
"excellent service genuine buyers with no messing sold to a good enthusiast "
"I love the selling format on your site, it makes it very easy to list my classics when it’s time for a change or to clear a little room within my collection. Many Thanks, Mark "
"Quick, hassle free sale with plenty of interest. Seeing it pop up on my instagram feed was a nice surprise too. " "Great result. Car sold in just over a week. Definitely the best classic car site by a mile !" "I had over 20,000 views and sold it to the first serious buyer, by far the best choice for selling a classic car." "Excellent response,sold within 4 days for a fair price for no advertising costs. What's not to like?" "Wow, what an amazing site, listed my car on this site and sold within 2 days of listing it "
"Sold to the first viewer within 2 days, would use Car and Classic again without hesitation." "The whole experience has been amazing and I have had enquiries from all over the world. Thank you." "Superb loads of interest.fist to view purchased her." "Great platform for selling.You only get genuine responses from interested parties"
"Excellent website where genuine collectors, enthusiasts and followers can go for detailed and accurate information - thankyou Car and Classic"
"Sold within a week, great place to advertise - always my first choice fir trouble free effective advertising "
"I was very pleased with the response for my advert and would thoroughly recommend 'Car and Classic'"
"I had had this car on a well known auction site prior to listing it on Car and Classic, I had nothing but idiots and time wasters sending me messages. After I listed it here I had three genuine buyers contact me, the first person that came to see the car bought it at the asking price. Can't say fairer than that." "Great experience, simple and easy to use with the best result!" "Strong genuine enquiries from enthusiast buyers led to a quick sale"
"Yet again this web site delivers. I use this site to buy and sell. Has great coverage and nice customers." "Excellent service many enquiries, sale now concluded. Thank you"
"Thank you. Sold within 6 hours of putting the advert in to the first caller. What a great advertising medium. " "Sold and paid for within the first 24hrs so very good result!" "Sold! Within two hours of being listed. As long as both buyer and seller are realistic with their expectations, this site works brilliantly. " "Outstanding sold at full price after 2 days.enthusiast enquiries. Very pleased." "Sold for close to the asking price to Albert from Austria. This website always reaches a wide audience, I have sold several of my old cars here I am always pleased with the response. Be patient, set the right price and be prepared to email plenty of good photographs. Your project car will sell on this web site!" "A very good service with enquiries from serious buyers. Not messed around like other sales media." "Plenty if enquiries and car was sold quickly . Highly recommend Car and Classic." "Car and Classic make advertising very easy and safe. Also they tend to attract the best buyers and serious buyers"
"With Carandclassic you can sell the bike on the other side of the world, amazing!" "Sold in 3 days to another genuine classic car enthusiast. Fantastic"
"A very useful services generating a number of enquiries, including a successful sale. Very easy to use. " "The best place to advertise rare race cars, sold within 24 hours. Thanks. " "Fantastic and easy to use website - shall certainly use again "
"Great response to advert in a short space of time - will definitely use service again!" "Great place to sell a bike massive response sold in 3 weeks"
"Full marks an excellent site, will definitely use again." "Car And Classic produced only sensible inquiries and not time wasters. Thank you." "The best medium by far, genuine enquiries from real buyers, unlike other websites!" "Thank you Car and Classic the No1 website for attracting serious buyers. Sold to the first person to see the car." "Very pleased with Carandclassic, first class site. Attracted many 'hits' 1000+ over 6 months but only one enquiry. Due to speciality of car. Provisionally car is sold, at asking price. Advert deleted to avoid any problems. "